When it comes to improving the appearance of your smile, the right choices regarding a cosmetic dentistry treatment can make all the difference. Whether you are looking to fix a small flaw or a widespread problem, it’s important to consult a dentist you trust and come to an informed decision. At Scripps Dental Care, we want our patients in the San Diego area to know all of their options, along with the benefits and limitations of each procedure. Two common cosmetic treatments we offer are dental bonding and porcelain veneers – both of which can provide long lasting aesthetic improvements for the right candidates. First, a composite resin will be picked to match your natural tooth color. The surface of the tooth will be made rough, to prepare it for proper adhesion to the resin. For most patients, the procedure is virtually painless and requires no anesthesia. The resin will then be applied in thin layers and hardened through an ultraviolet light or laser. This step is repeated until enough resin has been used for treatment. Finally, the resin will be polished to properly match the appearance of tooth tissue. Similar to tooth restorations that also use composite resin, a bonding procedure can provide stunning results, but may need to be eventually replaced or restored. With proper hygiene, it can be expected to retain its color and shape for up to 10 years. Although composite resin is color-matched to teeth and polished, larger areas of bonding may be more noticeable. Therefore, dental bonding is best reserved for smaller problems or ones that are not conspicuously located. 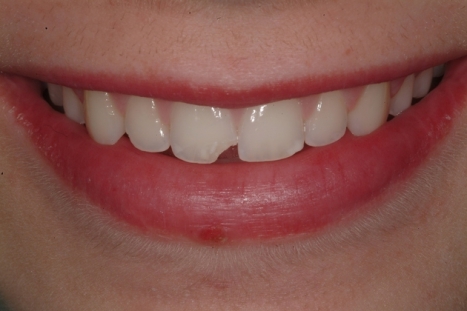 A layer of enamel will be removed from the front of the tooth, in order make room for the veneer. Digital impressions will be taken, which will be used to customize the porcelain into a size and shape that complements the rest of your smile. A temporary veneer will be placed on the tooth, while the porcelain is being crafted. 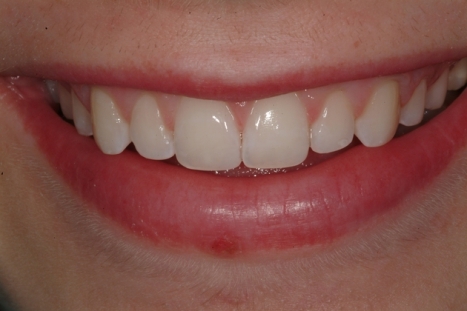 When ready, the permanent veneer will be positioned and cemented on, giving the tooth a permanently attractive surface. Although the process is more involved and expensive than dental bonding, porcelain veneers can provide the most dramatic and natural looking results, which can potentially last a lifetime with the right care. In order to assess the extent of your problem and determine whether it is better addressed through bonding or veneers, you should speak with your cosmetic dentist. Contact our office to inquire further about our cosmetic treatments or to set up a consultation with one of our highly qualified and knowledgeable specialists.